Anker PowerCore 10000 Redux is one of Anker’s latest power banks in 10000 mah capacity (about 2 full charges for most phones). It comes in a new long narrow design and gives charging speed of zero to 50% in 40-50 minutes for most Androids/Samsung phones and iPhones as it supports maximum charging speed of 2.4 amps. Good, compact, lightweight portable charger, but you will get much much better Anker power banks in same price range. We recommend spending a little bit more and buying the Anker PowerCore II Slim 10000 or Anker PowerCore II 10000 if you have Samsung or other Android phones. Both PowerCore II Slim 10000 and PowerCore II 10000 charge phones in half the time as 10000 Redux and get charged in half the time (4 hours) as 10000 Redux. Nowadays, when almost every phone comes with USB-C PD or Quickcharge wall chargers, slow charging/recharging speeds and waiting times are a pain and best avoided. If you want future-proof zero to 50% in 30 minutes USB-C PD charging for both latest iPhone XR/XS/X/8/8+ and latest Android phones (including Samsung S10/S9 etc.) 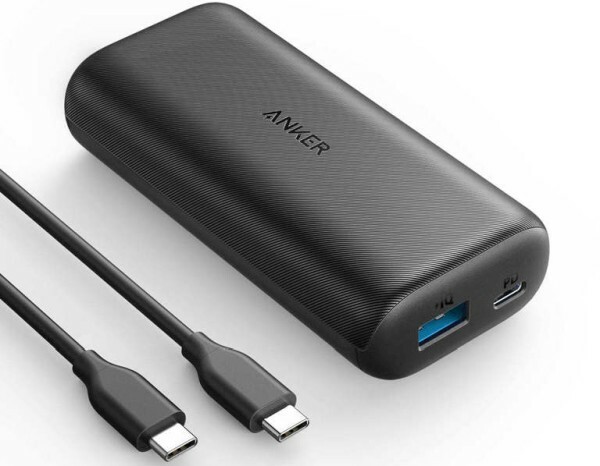 – buy Anker PowerCore 10000 PD, which gets fully recharged in just 3.5 hrs. PowerCore 10000 Redux is a better buy than PowerCore 10000 if available at same or lower price. Make sure to compare prices before buying. The only extra feature of Redux is that it supports low-power mode for charging low-power devices such as Bluetooth headsets, fitness bands, wireless earbuds etc. Fully charges S10/S9/S8/most Android phones and new iPhones Xs/Xr/Xs Max/8+ more than twice. Charges iPhone 8/7/6s/6/SE nearly four times. It takes minimum 8 hours to recharge the powerbank. This is the biggest flaw of PowerCore 10000 Redux in our opinion. Best choice for iPhone 7/7s/6/6s/5/SE if you do not mind its 8-hour charging time. PowerCore 10000 Redux is Anker’s latest powerbank in the very popular 10000 mah category. It comes in a brand new narrow and long design and with new LG cells. The PowerCore 10000 Redux has a textured grippy design first seen on PowerCore II 10000 and PowerCore II 20000. The new rectangular 4 inches x 2 inches x 1 inches (10 cm x 5 cm x 2,5 cm) is much better in our opinion than older PowerCore 10000’s wide squarish design and easy to grip as well. PowerCore 10000 Redux also has the much more user-friendly 10-point LED battery indicator till now seen on PowerCore II or PowerCore+ power banks. The completely new external and internal design (new cells) is what makes 10000 Redux a superior powerbank to older PowerCore 10000. As prices of power banks keep changing, we recommend buying the PowerCore 10000 Redux if it is available at same or lower price as PowerCore 10000. Even as the design is new, PowerCore 10000 Redux suffers from the same shortcoming as PowerCore 10000 – very long recharge times. It took about 8 hours to charge 10000 Redux from zero to 100% and this is really the weakest link in the 10000 Redux package. Also, even as USB-C is becoming the standard charging port in the Android world, PowerCore 10000 Redux does not have a USB-C charging port and you will need a new/extra USB-A to USB-C cable to charge the powerbank or to charge your phone. The best case scenario to buy PowerCore 10000 Redux is if its price is lower or same as PowerCore 10000 and you have older iPhones (iPhone 7/6s/6/5/SE) . These phones do not have USB-C phone chargers and do not support PD/quickcharging. For iPhones 7/6s/6/5/S, PowerCore 10000 Redux will give 3 full recharges at maximum supported charging speed. (0 to 50% in about 45 minutes). If you need a slim powerbank with exactly same features as PowerCore 10000 Redux and a USB-C port for charging the powerbank, better buy a PowerCore Lite 10000. PowerCore 10000 Redux makes little sense if you have any new high-end or even middle end Android phone. It gets charged very slowly in 8 hours and charges your phones at less than fastest possible speeds. For just a few bucks more, you will get excellent PowerCore II 10000 or PowerCore II 10000 Ultra slim that get charged in half the time and also charge your phones twice as fast. For slightly more, you will get the future-proof PowerCore PD 10000 with top-of-class fastest charging and future-proof features. Which among these three non-fast-charging Anker power banks is the best? Quick Answer: PowerCore Lite 10000 is best as it can be also charged via USB-C port and has a slim design. Featurewise, PowerCore 10000 Redux is similar to PowerCore 10000 and PowerCore 10000 Lite. Charging/Recharging speeds of all the three are exactly same. To charge all these power banks, it takes about 8 hours minimum with either Quickcharge or 2.4 amp wall chargers. All these three power banks charge both Androids and iPhones at speeds of zero to 50% in about 50 minutes. To be honest, this is a not a bad charging speed for iPhones/Samsung phones and is only slightly slower than zero to 50% in 30 minutes offered by fast-charging USB-C PD or Quickcharge power banks. PowerCore Lite 10000 has USB-C input. As almost all Android phones these days come with USB-C phone chargers, this means that you can charge PowerCore Lite 10000 with your phone charger and do not need any extra/new cable. PowerCore Lite 10000 is quite slim at .5 inches and shaped like a phone. This makes it much more pocketable with less bulge in the pocket and also easy to hold in hand with phone. To summarize, PowerCore 10000 Redux is an excellent product but feature-wise there are much better Anker power banks available for same or slightly more money. Having said that, it makes most sense for iPhones 7/6s/6/5/SE who do not [lan to upgrade their phones any time soon and if you are OK with 8 hour charging time of the powerbank and 1-inch thickness. Is 10000 Redux better than PowerCore II 10000 and other Anker fast-charging power banks? Quick Answer: No! PowerCore II 10000 or PowerCore 10000 PD or PowerCore II Slim 10000 charge latest iPhones and Android/Samsung smartphones in half the time taken by 10000 Redux and also get charged in less than half the time taken by 10000 Redux. If you have a new iPhone XR, Xs, Xs Max, X, 8, 8 Plus, or plan to upgrade to these phones PowerCore 10000 PD is best. 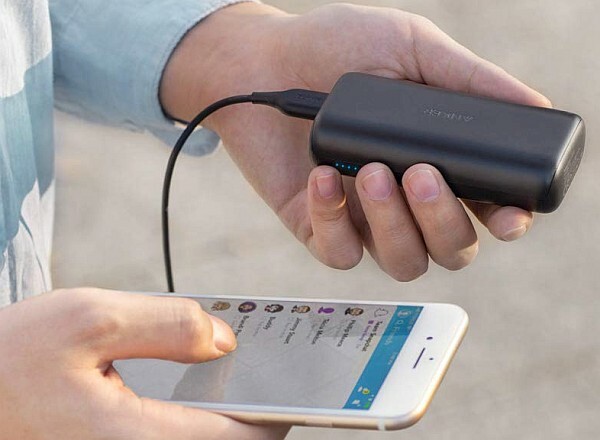 PowerCore 10000 PD is currently Anker’s most future-proof portable charger in 10000 mAh range and will fast-charge latest iPhone XR/Xs/X/8 and Samsung S10/S10+/S9/Note 9 etc. If you have a new Samsung S10, S10 Plus, S10e, S9, Note 9, S9+, S8 or plan to upgrade to these phones, get either PowerCore II 10000 or PowerCore II Slim 10000. If you want the most future-proof portable charger, get the PowerCore 10000 PD. If you have Pixel 3 XL, Pixel 3, Pixel 2 XL, Moto G7, Z4, Z3, G6, LG G8, G7, V40, V30, etc., get the PowerCore 10000 PD as it supports 18-watt USB-C PD supported by these phones. If you have any other new high or middle end Android phones, get PowerCore II 10000 or PowerCore II Slim 10000 if the phone supports Quickcharge 3.0. If the phone supports USB-C PD, get the PowerCore 10000 PD.